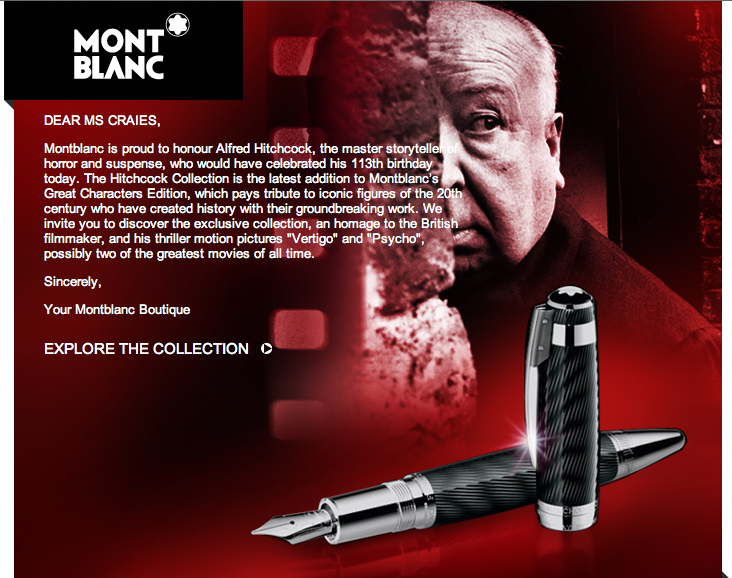 I just bought a pen, a beautiful pen and shared my email address with the supplier – top luxury brand, Mont Blanc. A week later I got an email, beautifully crafted but inappropriate message. This is not the way to say hello and welcome to your new customers. 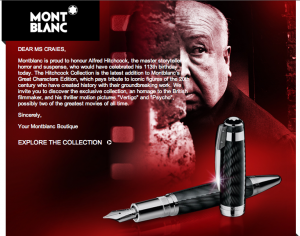 Launching right in with a sales message…. How about a welcome, a short autoresponder about the brand and explanation setting out expectations for the relationship?